The Idea That Changed The World: 100 Years Of Quantum Jumps : 13.7: Cosmos And Culture A technological revolution that is still playing out today began with new ideas about how atoms and subatomic particles work. Commentator Marcelo Gleiser tells the story of Danish physicist Niels Bohr and the work that changed how we live today. One hundred years ago Niels Bohr introduced the idea of quantum jumps with his model of the atom. Since then, and in unexpected ways, quantum physics has taken over the world. Seeing the world through a quantum lens brought us some of the most transformative technological innovations of the 20th century: nuclear energy (and bombs), transistors and semiconductors, lasers and all the digital technology used in cell phones and computers, GPS navigation, medical-imaging equipment and so much more. And it's the gift that keeps on giving, with quantum computers and myriad nanotechnology applications looming on the horizon. All of this innovation started with a small group of people trying to figure out the physics of atoms and of subatomic particles, never dreaming that their discoveries would transform the way we live and how we look at nature. It's telling that Bohr's model of the atom is kind of crazy. It was a collage of ideas, the fruit of his own amazing intuition as he mixed old and new concepts. To salvage the atom, Bohr had to invent new rules that clashed with classical physics. He bravely put forward his idea, suggesting the implausible: what if the electron could only move in certain orbits, separated in space like the steps of a ladder. The same way that you can't stand between steps, the electron couldn't stay in the space between two orbits. It can only jump from one to another, as we can jump between steps. These are the famous quantum jumps. And how are these quantum orbits determined? Again, we bow to Bohr's amazing intuition. But first, let's make a foray into angular momentum. (If bored by thinking about physics, skip the next two paragraphs. But I hope you don't!) If electrons circle protons, they have what we call angular momentum, a quantity that measures the intensity (and orientation) of circular motions. If you tie a rock to a string and spin it, it will have angular momentum. The faster you spin, or the longer the string, or the heavier the rock, the larger its angular momentum. If nothing changes (i.e., spin and length of the rock), angular momentum is conserved. (It never is in everyday life due to friction.) When a whirling ice skater spins up by bringing her stretched arms to her chest she is using her (nearly conserved) angular momentum: shorter arms and more spin gives the same angular momentum as longer arms and slower spin. Bohr suggested that the electron's angular momentum should be quantized, that is, it could only have certain values, set by the integers (n = 1, 2, 3, ... ). If L is the electron's orbital angular momentum, Bohr's formula reads, L = n (h/2π), where h is the famous Planck constant. The constant is, of course, named after Max Planck, the physicist who in 1900 realized that every energy exchange between atoms and light occurs in chunks. So, Planck planted the seed of the quantum jump idea in physics. But back to Bohr, a quantized angular momentum meant that the electron's orbits were quantized, or separated in space. The electron could go from one to the other by jumping either down and closer to the proton, or moving up and farther away. Bohr's brilliant insight was to mix concepts from classical physics with the brand new quantum physics, creating a hybrid model of the atom. In the process, Bohr also solved an age-old mystery in physics: what determines the colors (emission spectrum) a chemical element emits when it's heated up? The strong yellow in sodium lamps is a familiar example of the dominant color in an emission spectrum. It turns out that each chemical element has its very own spectrum, characterized by a distinctive set of colors. They are an element's spectral fingerprints. Spectra were known throughout the 19th century, but no one knew why they existed. The emission spectrum of an element consisted of the photons (or radiation) electrons gave off when they jumped from higher orbits to lower ones. The photons carried away the angular momentum the electron lost as it jumped down. 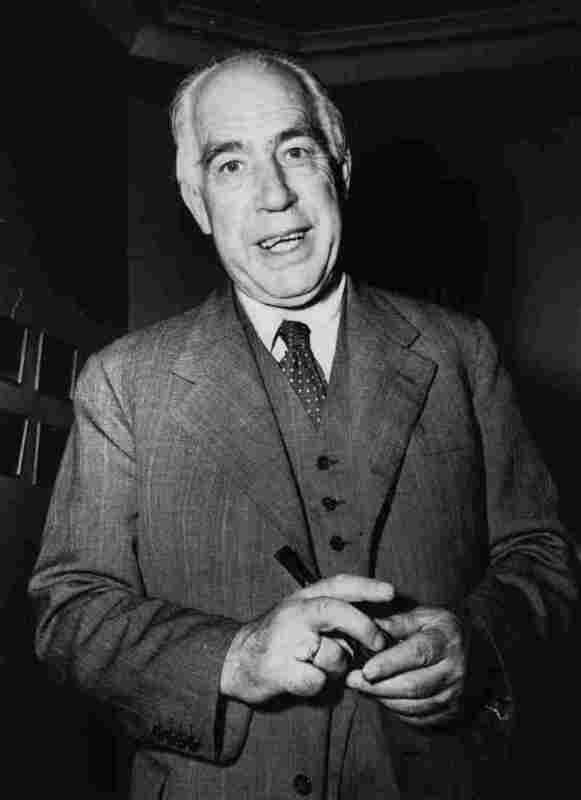 Bohr suggested that the energy of the photons matched the energy difference between the two orbits. And why do different elements have different emission spectra? Since each atom has a certain number of protons in its nucleus, its electrons are attracted with different intensity; each allowed orbit will have its specific energy. When the electron jumps, the photon emitted will have that precise energy and no other. Back to the ladder analogy, it is as if each chemical element has its own ladder with steps at different distances from one another. With this, Bohr explained the emission spectrum of hydrogen, a triumph of his hybrid model. Even if incomplete, Bohr's theory captured the essence of the bizarre quantum behavior of atoms: their quantized orbits and the dance between matter and light. That quantum physics still surprises and puzzles us shows that a century after Bohr's atom we are only beginning to unveil what really goes on in the world of the very small.